Hundreds of bees with individual coloured number tags will be released from the rooftops of Queen Mary University of London (QMUL) on Tuesday 21 June and over the next month for a project that hopes to uncover the secret lives of London’s bees. Biologists from QMUL’s School of Biological and Chemical Sciences will attach weather-resistant number tags on the backs of bees, and encourage the public to identify them and take photos for a competition. Prizes of £100 Amazon gift vouchers will be awarded for the best photo of a QMUL-tagged bee on a flower, for the highest number of QMUL-tagged bees spotted and for the best photo of a London bee-friendly garden (as judged by the research team). The London Pollinator Project aims to understand the bees’ preferred patches in London, in particular their favourite flowers, which reward them with nectar and pollen. Five hundred bees will be released on Tuesday 21 June, and then several hundred more each week over the coming month as bee colonies mature. 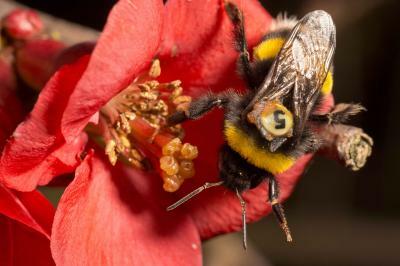 Project leader Professor Lars Chittka, from the School of Biological and Chemical Sciences, said: “The fact that the bees have individual ‘license plates’ will allow anyone interested to develop their own science project, and ask scientific questions about the behaviour of bees. The project has already encouraged Londoners to plant flowers that are rich in nectar and pollen, like English lavender, viper’s bugloss, or spiked speedwell. Once the bees are released the researchers will be able to see how successful urban gardening efforts have been. Professor Chittka added: “We hope that the observation of number-tagged bees in people’s gardens will raise an appreciation of insects as individuals – with individual memories of a particular flower patch, and with individual preferences for certain flowers that differ from those of other bees. The London Pollinator Project is funded by QMUL’s Centre of Public Engagement and School of Biological and Chemical Sciences. Previous articleCATCH THE BUZZ – Use this from the Honey Bee and Native Pollinator Education Program in Ohio State’s College of Food, Agricultural and Environmental Sciences.